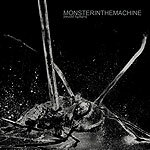 Moody, atmospheric and lovely, Monster in the Machine's debut CD deftly, seamlessly combines '80s New Romantic melodicism with '70s art rock experimentation. The result is a sound somewhere between David Byrne, Spandau Ballet and Roxy Music. At the same time, later stages of the Beatles seem a significant influence on the songwriting of Monster's leader, Shannon Crawford. The construction of his songs, in their rapidly shifting moods, complex bridges and use of unorthodox instrumentation (flute, strings), remind of the songs from the Sgt. Pepper's / Magical Mystery Tour / White Album / Abbey Road period of the Beatles. Crawford's singing style was clearly shaped by what was happening in the 1980s' New Romantic movement. His voice has the same kind of warm strength as Kevin Rowland (Dexys Midnight Runners) or Tony Hadley (Spandau Ballet), a similar ability to quickly change gears, from soaring over a theme to quietly caressing a lyric. You add all that up, you get a pretty intriguing listen from the LA-based group.